I tried my hand at making Paneer for the first time when I made Palak Paneer just a few days ago. The inspiration being a local company that delivers organic vegetables & organic fresh milk. I ordered some spinach & the buffalo milk for a trial, and instantly the thing that came to my mind was to make Palak Paneer and also try my hand at making Paneer. Paneer is a soft fresh Indian cottage cheese which can be easily made using milk & acid together. It's quite popular in Indian cuisine, specifically in North India due to the fact that its a healthy & delicious vegetarian menu. Some of the popular dishes range from Paneer Tikka, Paneer Pakora's (Fritters), Paneer Butter Masala, Palak Paneer & Aalo Matar Paneer (Peas and Potatoes with Paneer). In fact, I think its a much vegetarian alternative to tofu since not only is it easy to make but is delicious eaten on its own as well, or grilled or fried. Furthermore, for a bit of extra flavor, flavored paneer can also be made by adding spices or herbs. For example, the first time I made Paneer was basic plain flavored paneer and the next time I added fresh coriander (dhaniya) & some crushed red chilli flakes to give it just a little bit of kick. I was always a big fan of Paneer, but ever since I tried making it at home, there's definitely going to be no store-bought Paneer for me. Update: Have found a supplier that delivers fresh hormone-free cow's milk to my place; Good quality milk which is convenient & affordable. Details are available at the end of this post. Heavy Weight - A Mortar is good for pressing down the Paneer or desi Sil-Batta. Note: It is not necessary to add flavorings in the Paneer, but since I had taken pictures of this version, this is what I posted. I think it makes the procedure much more simpler when explaining with pictures. 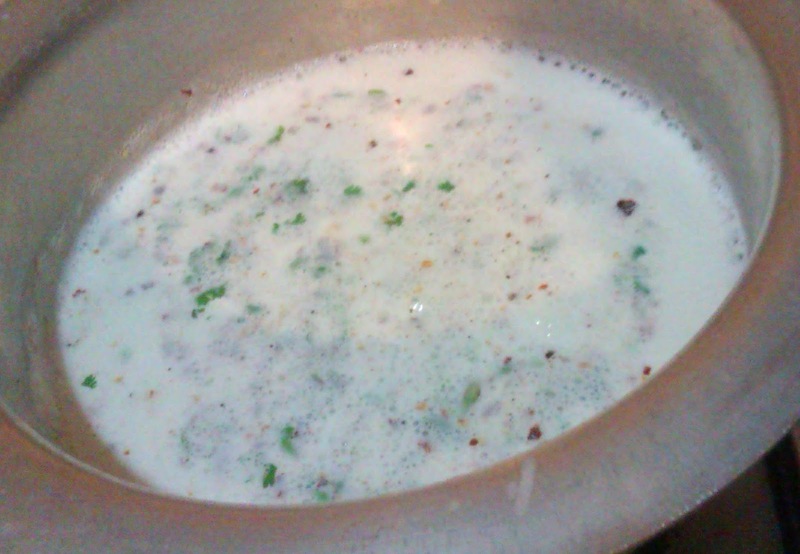 1 - Pour the 1 litre milk in a medium sized pan and put to boil. If using finely chopped garlic as a flavoring agent, then add now so that the raw garlic can cook for a bit & infuse the milk. 2 - Line a sieve with muslin cloth/cheese cloth & put it over a big bowl. 3 - Make sure that you keep standing next to the stove, since the milk can boil over anytime. 4 - Once small bubbles start appearing at the edge of the pot and the milk is about to start boiling, add flavorings if using. For example, in this recipe, I used 1/2 tsp salt, 1 tsp crushed red chilli flakes, & 1 tsp of fresh corriander leaves. 5 - Once the milk starts boiling, turn the heat to low to make sure it doesn't boil over. Add the acid ingredient (lemon juice) and keep stirring. The milk should curdle/separate as soon as the lemon juice has been added. 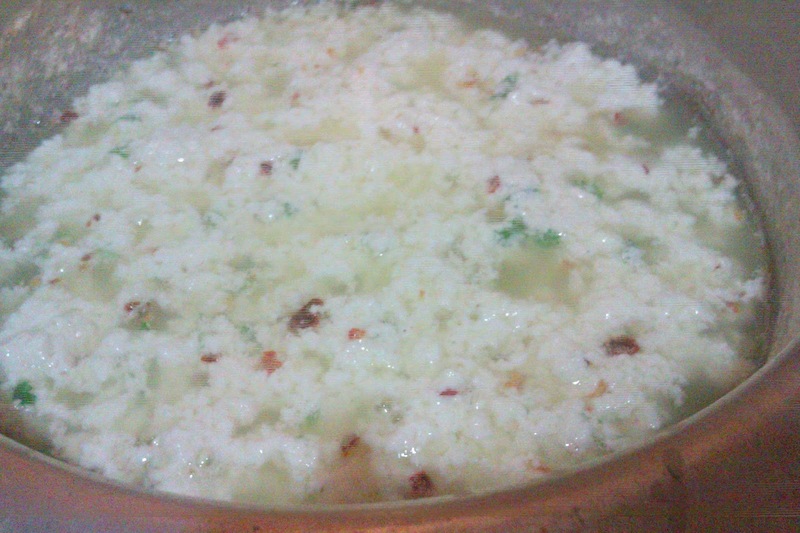 Stir continously until the milk is completely curdled and the water (whey) turns yellow-green in color. In case the milk does not curdle then add a few more drops of lemon juice till the milk has curdled and the water turns yellow-green. 6 - Remove from heat. 7 - Pour the mixture into the sieve lined with a muslin cloth. 8 - Drain the whey/yellow liquid. 9 - Tie up the cheesecloth/muslin in a tight bundle and hang it for about 15-20 minutes so that the moisture is drained. Alternatively, you can just lift it up, close the muslin cloth & squeeze the moisture as much as possible. 10 - Then place the cheesecloth on a flat surface and place a weight on it so that the cheese gets flatter and any additional moisture is drained. Keep it for about 30 minutes. 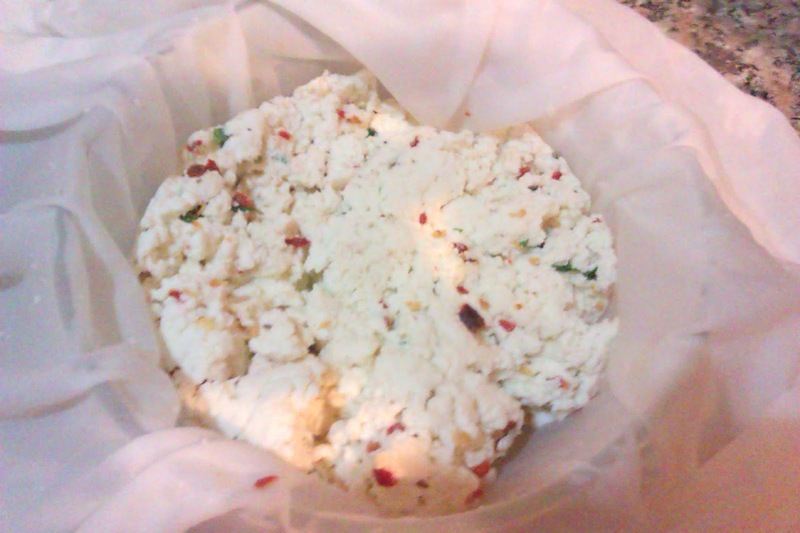 11 - Once the paneer is set, it can be cut into cubes of any shape to be used. 12 - Keep the Paneer in the refrigerator in an airtight container. 13 - It will stay fresh for 3-4 days. 14 - Use the Paneer to make Palak Paneer, grill it for sandwiches or use to make gravies. 1 - Use good quality fresh milk. 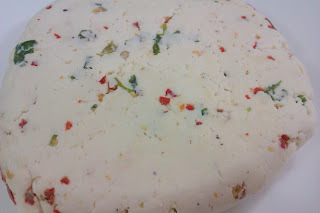 I used Buffalo milk for the first time which yielded a slightly creamier & white colored Paneer. 2 - Either yoghurt, lemon juice or vinegar can be used to curdle the milk. If yoghurt is used, then it should be fresh. 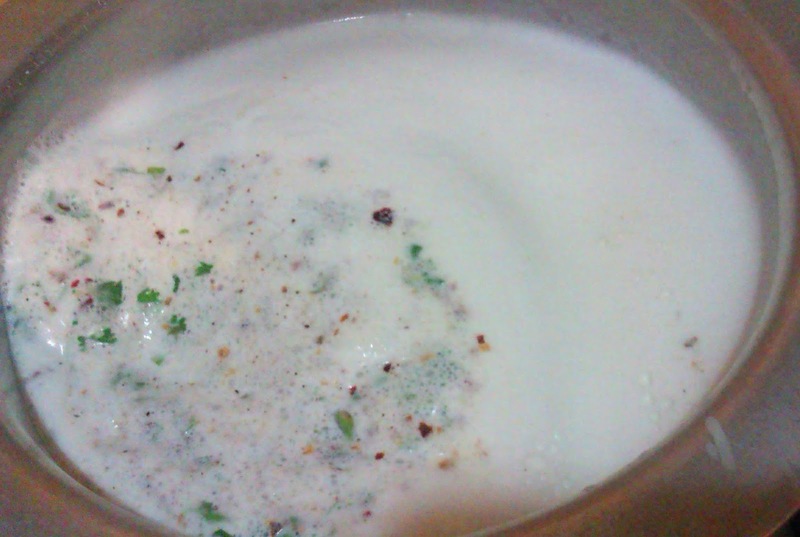 Its best to add 1 tsp at a time to see when the milk curdles. If the milk has not curdled, then another tsp needs to be used. The milk will completely curdle when the water turns a light green/yellow color. 3 - Remove immediately & drain once the milk has curdled otherwise if the milk is overcooked, it will lead to a hard Paneer. 4 - Once you get the hang of making Paneer, keep experimenting with flavors and try them out in different recipes. 5 - The leftover liquid/whey can be used for making roti's (making the dough) or added to veggies/gravies or used to water plants. This is fabulous, Kiran! It looks SO good! Thanks so much for sharing!